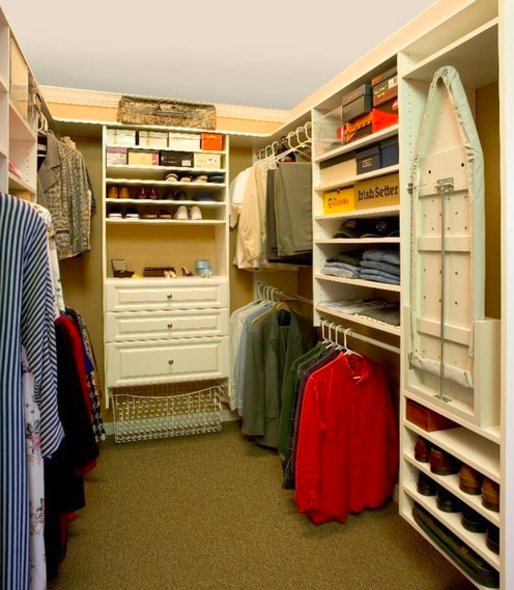 Maintaining organization in every closet throughout your home can be a challenge. It’s easy to neglect the spaces that aren’t often in regular view. However, letting your closets get out of order can create a domino effect that can have consequences throughout the rest of your home. Here at More Space Place, serving the greater St. Johns area, we provide expert service in creating highly functioning and efficient custom storage solutions. Here we’ll provide simple tips on how to create and maintain organization in all your closets throughout the home. Mudroom or entryway closets are an important storage element in a home. In addition to other items, this is likely where frequently used coats and shoes are stored. 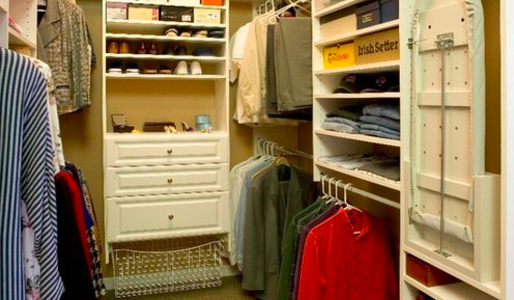 If you have one of these closets in your home, chances are you access it at least once a day. This frequent use means the closet is more likely to become messy and disorganized. If you’re one to throw your coat and shoes in quickly and shut the door after a long day, you aren’t alone. However, this habit is not good for your closet’s organizational health. Spend the extra few seconds it takes to hang your jacket on a hanger or coat hook each time you put it away, and invest in a show rack/organizer. Consider adding built-in shelves or drawers to store the miscellaneous smaller items. At More Space Place, we offer a variety of storage methods that can be customized to fit any space. The first step in obtaining bedroom closet organization is to get rid of what you don’t want or need. When you have extra pieces of clothing in your closet you don’t wear, they are only taking up space and preventing you from achieving maximum storage and utility. After you’ve freed up space for the items you do use, you’ll have more room to breathe and the ability to improve your closet’s function. Designing a custom solution is the perfect way to get the most out of your closet. Installing built-in drawers, shelves, and cabinets will utilize your available space in the best way possible, and it will provide you with the most ideal storage system that fits your lifestyle. Similar to entryway closets, linen closets often become disorganized. They regularly can be found stacked with balled-up sheets and unmatched socks. To combat this issue common in many St. Johns homes, More Space Place offers various linen closet storage solutions. A good starting point is to use separators to create different compartments within your closet. These smaller sections allow you to keep sheet sets separate from your stacks of towels or other linens. It also makes it easier to keep things folded, which is a significant part of maintaining an organized linen closet. To learn more about the custom closet storage options available to you, contact More Space Place Jacksonville to schedule a free in-home consultation today!